Shown in natural unfinished pine wood, this pantry cabinet is a blank slate for you to customize to match your personal style and home decor. Choose from our finish options to create the right look for your home. Also available with wood or glass doors depending on your kitchen storage needs. 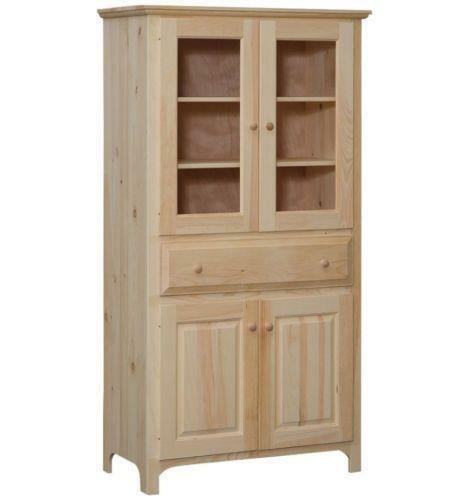 Contact one of our knowledgeable furniture specialists today for additional information or custom ordering assistance on this country style Pantry Cabinet from DutchCrafters Amish Furniture.